I've started this topic to help alert people to cool stuff floating around in the big wide world that we can actually get our hands on for a reasonable price, not just dream about. I'm starting off with the smartphone remote controlled powered paper airplane kit, which should be available by May for about $45 (if you add in shipping). The beauty of this is not only does nearly everyone already own the controller device, but you can make any chassis design you want for the cost of a piece of paper. Genius is almost always obvious in retrospect....which I guess doesn't say a whole lot about our collective intelligence. Seems like this could be an interesting thread to bump. malickfan wrote: Seems like this could be an interesting thread to bump. What kind of sick twisted necromancy are you up to Malick? All these dead threads rising from the grave! I don't even remember creating this thread! Do you remember the thing you linked to? I never followed up on the thing I linked to. I hope it's still around! The guy's a genius. I was in there tonight celebrating completing a journal paper, and between the ambience, the music (delta blues) and the drinks, I was very happy. I snapped his picture and sent it to my sort of one time girlfriend, trying to convince her this was the guy she should marry. He's tail, with ponytail and vest, a genius behind the bar and in business. If I were a different gender I'd be trying to marry him. 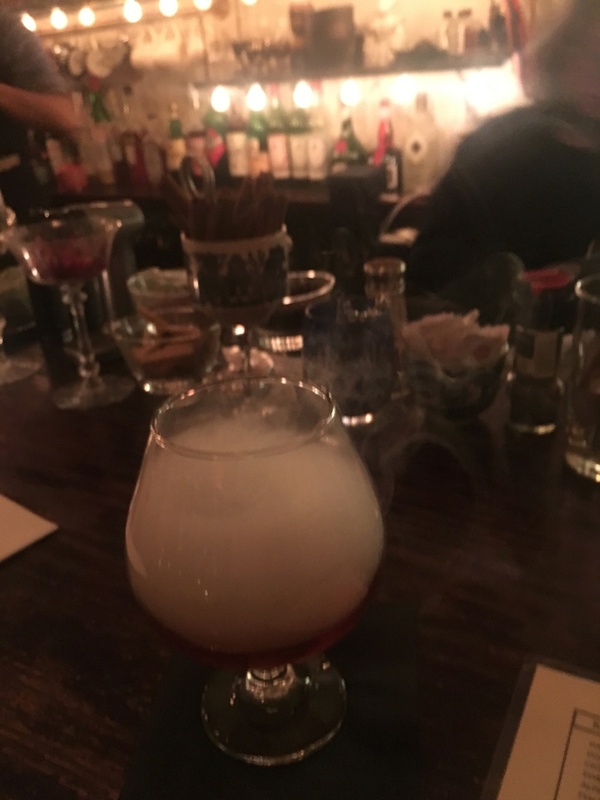 Anyway, the signature drink here is Smoke: bourbon left to sit in a glass with an chiseled ice cube and spray of bitters. Then you blow in scented wood smoke and it makes a cloud. Here it is behind the bar before it's brought to me. Yes, the bargirl is adorable too. Everyone's adorable when you're my age. Note the wisps of smoke all over. Here's the final product. So um, yeah. That's a cool thing you can buy. I also had a great conversation with a banker who sat next to me (this kind of thing only happens in Harlem). She taught me to eat raw oysters (bad experience in the past) and we talked about saving the historic Jazz bars in Harlem. She has the expertise, I've actually talked to these people so have the contacts. This is gonna happen. BTW, I just ordered the remote control paper airplane thing for my brother for christmas. We'll see how it goes. Thanks for bumping this, Malick; I hadn't figgered out what to get him. Oh, the Japanese are perfectionists in everything. Believe it or not there's a connection between Harlem and Japan - the young Japenese Jazz musicians want to come here, and they're good. Even better, the Japanese Tap Dancers want to come here, and they're really good. Except that the live music scene is dying in Harlem, and you can't have tap dancing without live music (it's just lame). So I can help save live music, tap dancing, and perk up the lives of dozens of young aspiring japanese all at the same time! Oh, but we were talking about drinks. Take it from me, if you see a Japanese cocktail bar, conduct yourself inside pronto. They practice and work on things until they are just the pinnacle of perfection. 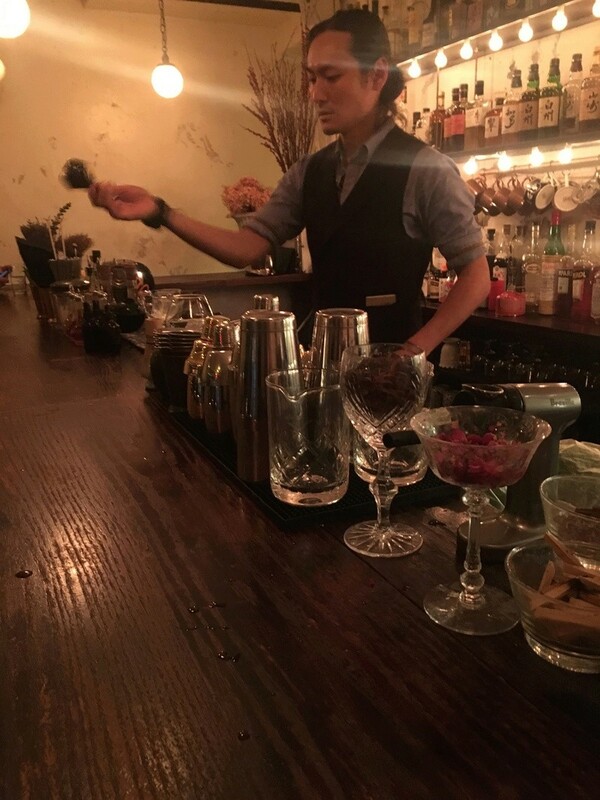 The Tokyo cocktail bars are legendary throughout the world. Not cheap, but you get what you pay for. And I've got one right around the corner from me. Only a handful in New York City, so I count myself lucky. 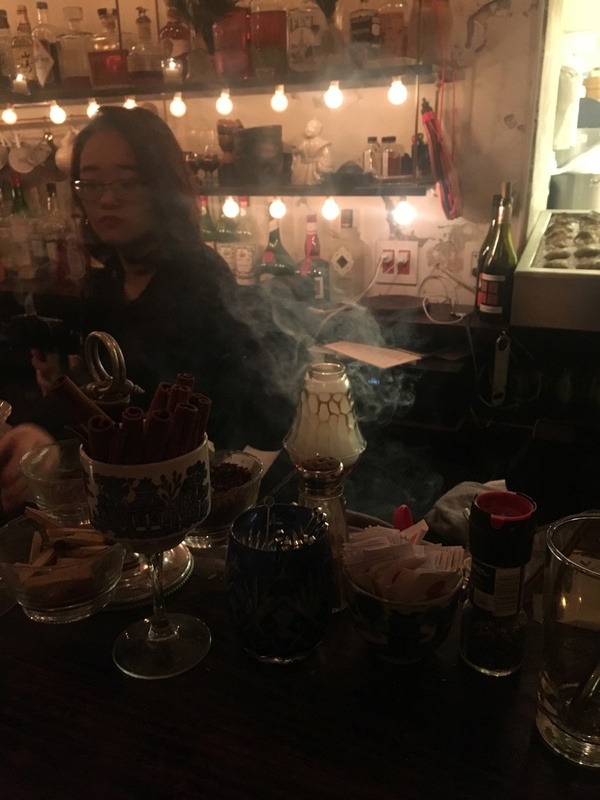 This guy comes from the original Japanese cocktail bar in NYC: Angel's Share, one of the modern line of hidden bars (behind a curtain in a Japanese restaurant in the East Village). His credentials are impeccable, and it shows.